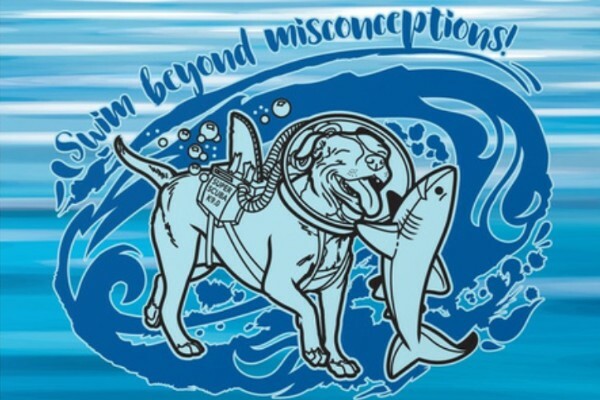 Lexy and her BFF, Bruce the Shark ask you to “Swim Beyond Misconceptions”, to look past the stereotypes and truly see the beauty in two amazing and misunderstood animals: Pitbull type dogs and Sharks. Discrimination and labels of all kinds are dangerous and have no place in advocacy. Lexy says, “Swim Beyond Misconceptions"; get to know your community, reach out. Be strong; be inquisitive, be curious, be supportive; and be kind. This campaign focusses on fundraising and awareness for two organizations that do so much to support the animals we love and provide education so everyone can see the beauty that is right in front of them in these animals. We invite our friends to help us support these charities by donating to the cause and entering. Total proceeds raised will be shared equally between Ghetto Rescue Ffoudnation and Sharks4Kids (Jillian Morris). Two amazing charities doing so much for two causes I believe very strongly in... Advocating for the safe, ethical, and responsible treatment of pibbles and sharks! *100% profits will be donated.